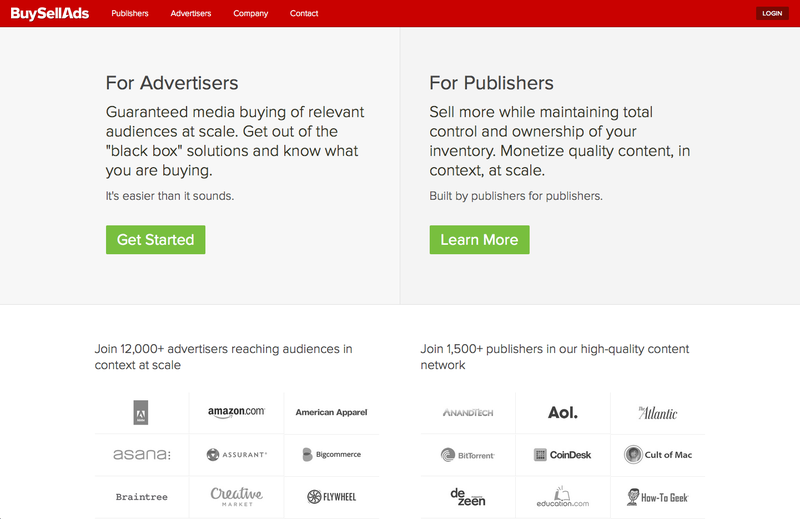 BuySellAds has sold over $50 million in guaranteed advertisting deals for top publishers, which is more than all of their competitors combined. This week, we're talking to the company's founder, Todd Garland. 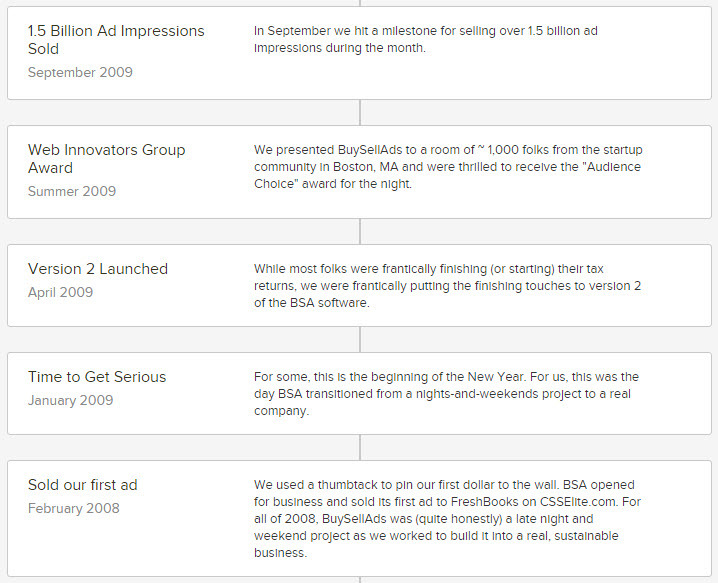 Prior to founding BuySellAds I was a very early employee at HubSpot ($HUBS). Prior to HubSpot, my first job out of college was at an interactive agency where we built websites/products for other companies – we also managed search engine advertising budgets. So, yes, I have worked for “The Man” before, but ultimately work for “The Family” throughout my professional career. When it comes to what I’m creating (be it a spreadsheet or a software program…) I like to be in control of the final product. I was able to realize this at both Mindfire (the interactive agency) and HubSpot, but it just so happened that my interest in online advertising didn’t specifically fit in with either companies’ vision. I always enjoyed the idea of starting a company, but I didn’t approach BuySellAds like that. I wasn’t trying to start a company; I was trying to solve a problem. As luck would have it, solving that problem ended up turning in to a company. I built BuySellAds nights and weekends. I’m not sure I could ever be as scrappy as I was in starting BuySellAds again. I would wake up early and work on it for an hour or two before work, and then another hour or two after dinner and before bed. There were some very late nights as well, but it wasn’t every night. I started BuySellAds with about $2,000 (for the domain name). Everything else was elbow grease and hard work. In terms of people, I waited until the business was producing enough revenue to leave my day job and hire anyone. If you are a publisher and make money selling advertising to your website visitors, there is a good chance that selling ads isn’t why you started your blog/website/publication. That’s where BuySellAds comes in. We make the process of monetizing your audience easy, enjoyable, and something you never have to think about while maintaining high standards. We connect you with quality advertisers that you otherwise wouldn’t be able to reach on your own. If you are an advertiser and don’t like the “black box” that online advertising has become, we should partner. We drive meaningful results (and scale!) for some great companies looking to connect with real people (not bots!). Google AdSense/AdWords was built on the backs of small to medium sized advertisers and publishers. Every single ad tech company right now is competing with Google for the top 100 advertisers and publishers. It makes sense; these companies can drive magnificent scale. However, the web isn’t about the top 100 advertisers and publishers. The web is about depth, freedom of information/learning, open source, distribution of free content, and accessibility. Our goal is to bring down to everyone else the sophistication of ad tech tools that these companies provide to the top 100 advertisers and publishers. This means helping advertisers drive access to and activation of the most loyal audiences at scale. For publishers this means providing them a sustainable alternative to the fraud-ridden and polluted ad tech pipes they have been using for far too long. Think of us as the Netflix to your Blockbuster Video. Faster, cheaper, better quality, better experience, and sustainable. I love our team. I feel lucky to work alongside the folks who choose to work at BuySellAds. Without them we are nothing, and there isn’t another group of people I’d rather be doing this with. Time. The tech press makes it seem like every success story happened overnight. Yes, there are some very quick success stories out there, but the reality is that it takes many years – if not decades – to build a large, sustainable, and profitable business. I write code every now and then. I’m not very good at it, but learning (which for me means code) is therapeutic and acts as my “outlet” to keep myself in the game. Since having children, I have discovered that I’m pretty good at digging holes in the sand at the beach. I think I could do that full time. More seriously, I would design and build interfaces. I like creating things, learning new programming techniques and frameworks – that makes me quite happy. He who is afraid of making mistakes is afraid to succeed. Having that much in ad inventory is just insane. It is funny how he talks about catering to the little guy out there, but in order to get signed up you need to have 100,000 views each month. Very insiteful interview. I have always wondered what separates the BuySellAds type of network from all of the others out there. Having that much money coming through the network, one would assume the company could sustain for many years since digital advertising is only going to keep climbing. I really like BuySellAds system compared to all of the others that are out there. Very simple, yet effective for the advertiser and the publisher. That might also be a reason that they are succeeding.